I travelled from London to California in March 2019 to be a volunteer at one of (if not the) largest social media conferences in the world. If you’ve never been to, or volunteered at, a conference, this article may help you make the decision whether or not it is something you want to do. I share my learning with you and I openly talk about the highs, and the lows, of going to such an event as a volunteer. WHY ATTEND A CONFERENCE 11 HOURS AWAY? A year or so ago, I was at home on my social media following the hashtag SMMW18 and I got such FOMO that I made it my mission to attend SMMW19. I knew that it would cost me a fortune but I had a feeling that attending this event could have such a huge positive impact on my business that I couldn’t afford NOT to attend! WHAT IS SOCIAL MEDIA MARKETING WORLD? 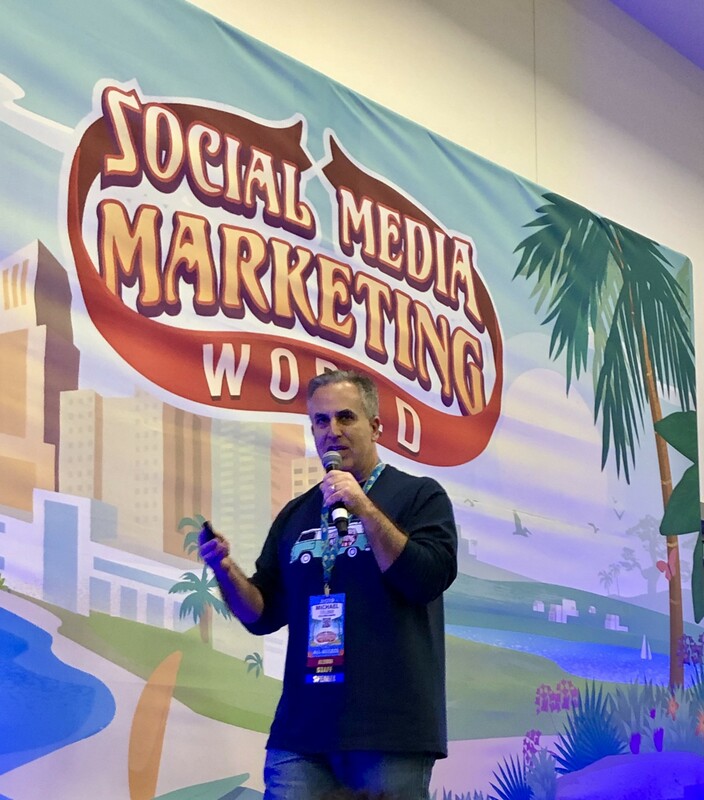 Social Media Marketing World (SMMW) is not just a conference; it is a 3 day festival of learning, connections and growth. With 145 speakers and over 4000 delegates, this conference enables you to pack in a tremendous amount of knowledge as well as make important and life long connections with the speakers and attendees. The conference centre is huge — make sure you’re wearing comfortable shoes — I walked an average of 9km a day! Who were the speakers at SMMW19? The speakers at SMMW19 were among the top in their trade. People like @MarkSchaefer, @MariSmith andAndrew and Pete have been known as pioneering figures in the world of social media and marketing for many years; the knowledge they imparted in their talks is gold dust. There were also newer and first time speakers who have an enormous following on You Tube (Zach King), Twitter (Chris Strub) These speakers brought a different approach to speaking. Whatever their style, all the speakers really knew what they are talking about. It was obvious all the speakers had worked hard on their speeches to ensure they delivered the best value to their audiences. I felt as if I was having all their years of learning and experience washed over me. Day one: workshop day. Smaller, more intimate groups led again by experts in a broad range of fields. DuncanWardle’s workshop on ‘How To Think Differently’ was not only hysterical but interactive and educational. Other subjects included Branding (Chris Ducker), Storytelling (Melissa Cassera Cassera), on line relationships (Jessika Phillips). I first heard about volunteering at conferences from the rockstar of twitter: Madalyn Sklar. I decided to investigate what this involved and see if it would work for me. The first great thing about volunteering is that you get in to the conference free! Yes, you get an all-access pass to attend every speaker, workshop and all the after parties. Most of the networking is done at the parties (and they are really good fun too of course — especially the 80’s party! ), so it’s important to attend them if you want to take the connections you made during the day to a deeper level. Also, of course, people are easier to talk to when they’ve ‘let their hair down’ a bit. With the ticket price of over $1000 that’s a pretty good saving — right? Obviously there are still travel and accommodation costs to bear in mind but to make a huge saving on the ticket price makes the whole trip much more manageable. Secondly, if you’re planning to go to a conference alone, volunteering means that you are a part of something, part of a group so you have a whole network of connections to greet you on arrival. The staff at Social Media Examiner went to great lengths to ensure that we were all connected, informed and made to feel at ease before some people had even booked their hotel rooms. Weeks before the conference we were invited into a Volunteer Facebook group, training and informative webinars and live interviews of staff. On arrival at the first training session, I recognised so many faces from these pre-conference connections that I felt completely at ease. This was the moment I arrived and met my #smbesties who I had been meeting on line for months! If you volunteer at SMMW, you know you are going to get some amazing insights into customer service. The element of customer service is extremely high. Phil, Connie and the team ensured that we were all fully appraised of ways to ensure the customers had their best user experience during the conference. They gave us advice that we could use at SMMW but also in our businesses going forward. HOW DO I KNOW IF VOLUNTEERING IS FOR ME? There are a whole host of roles suited to different kinds of people. The extroverts will love meeting and greeting people as they arrive at the conference, hotel or airport. Those more introverted may prefer to work behind the scenes or in the speaker room — there are plenty of different roles available for different types of people. What if I get a role that doesn’t suit me? This is unlikely if you’re volunteering with SMMW as the application process is structured to help the SME Volunteer Team identify which role would suit you the best. To ensure a team provides a top notch customer journey, it is essential that team members are placed in roles where they will shine and give their best. Happy servers means happy customers, right? I’ve never worked at a conference before, what if I’m no good at the job? The culture among the volunteer training staff at SMMW was not one of blame but one of support and encouragement. With the webinars, live and recorded interviews and the Facebook group, it is hard not to feel prepared before you even arrive. With a further half day of on-the-spot training, there really will be very few things you won’t know. At SMMW19, we all had downloaded the app ‘InitLive’, which had been designed to ensure we had tons of information at our fingertips. So, if someone approached us with a question we could not answer, we knew where to find it. The rule at SMMW19 was never to say “I don’t know” but to be proactive and find out. It’s a good rule for life don’t you think? Also, many of the volunteers were experienced alumni and there was always someone we could reach out to if we were really stuck. The support network at SMMW19 was tremendous and no question was deemed ‘silly’. There were always people on hand to check in with if you had a question or an issue. IF I’M WORKING HOW WILL I SEE THE SPEAKERS? Even as a volunteer I had the chance to meet many of the speakers including Mari Smith. The main concern that I hear from people about volunteering at a conference is that they won’t be able to hear the speakers as they will be busy working. At a conference the size of SMMW19, it is not possible to attend all the sessions. With up to 9 talks and workshops taking place at the same time, even the non-volunteering attendees have to make choices here. Some conferences — SMMW being one of them — offer all ticket holders and volunteers the opportunity to download the recordings from all the talks and workshops after the event. This is a great resource, which enables attendees to refresh their memory from the speakers they did see and also to hear those they didn’t. It is possible to volunteer as a ‘room host’, which means you are based in one of the rooms where the talks take place so you do get to hear all the talks in that room. If there is a speaker you particularly want to hear in another room, you can try to swap your shift with another volunteer. Some roles start very early in the morning (hotel concierge for example), leaving you a fairly large chunk of the day free to hear speakers. It is worth checking the volunteer roles very thoroughly when you apply. Bear in mind that it may not be possible for the volunteer organisers to match your request for certain roles but, at SME, they do their best to ensure this happens. One role which was great fun was ‘ushering’ the attendees into the talks, we were able to create an atmosphere of fun and excitement before they even went into the room to hear the speakers. Mark Shaefer has likened the reception he received at SMMW19 to being like that of a celebrity. I like to think that the volunteers contributed towards that feeling. At SMMW19, most of the volunteers were given some time off to see some of the keynote speakers — something we all appreciated greatly. The great thing about SMMW is that the speakers are accessible between talks. Unlike some other conferences, at SMMW the speakers are encouraged to hang out in the corridors and the networking areas. It is deemed perfectly acceptable to approach them, chat with them and even ask for a selfie. The highlight of my conference was having lunch with Madalyn Sklar and talking about Twitter! I even had time to hang out with Andrew and Pete! DO PEOPLE LOOK DOWN ON THE VOLUNTEERS? On the contrary — the volunteers are highly praised and thanked for their hard work. Mari Smith, Madalyn Sklar and other speakers personally thanked me for my duties. 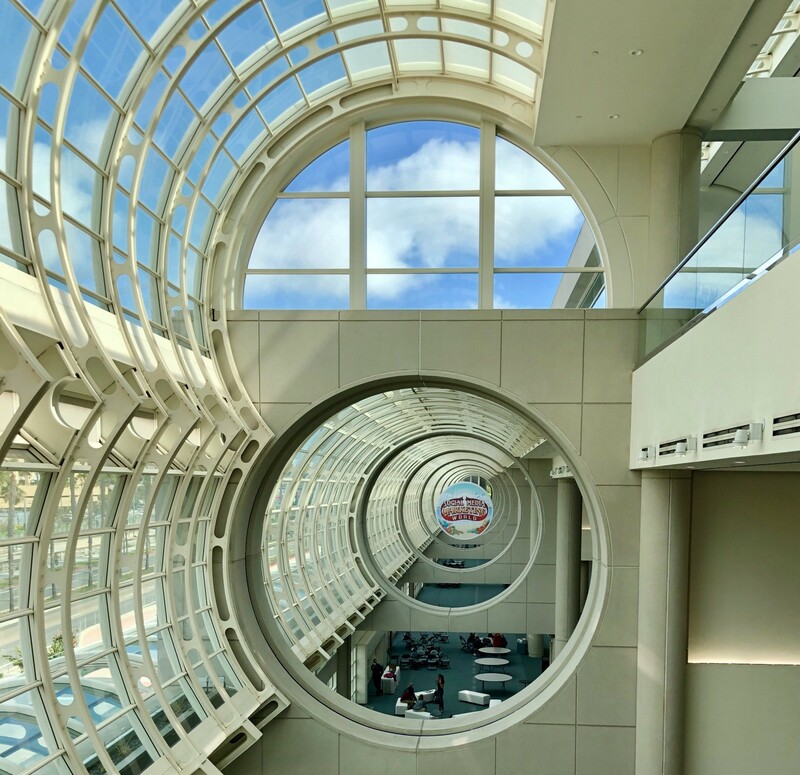 VOLUNTEERING AT SMMW19 — HOW WAS IT — REALLY? I think you have the general picture that I got a great deal out of my volunteer role! I was a room host and got to hear some amazing speakers: Steve Dotto Chris Brogan Leslie Samuel Roberto Blake were some of the speakers on my stage. I got to see all the keynote speeches and attended two workshops in my time off. Some of the most important things for me, however, were the friendships I built, created and expanded. I was able to hang out with people I’ve been ‘meeting’ regularly on line for many months, which was incredible. Many of whom were fellow volunteers so we got to hang out a lot! The biggest thing to deal with as a volunteer is how busy your day is. Dealing with jet lag, very early mornings, late nights and full days was, I will not lie, full on! However, the atmosphere was so electric and emotions running at a high that it didn’t seem to matter and I never felt ‘tired’. If you look after yourself: drink lots of water, rest when you can, eat well (oh food is free too when you’re working! ), and enjoy yourself, volunteering at SMMW could be a huge turning point in your career, one which you will remember for ever. However, the third day after arriving home, I have to warn you, I crashed! Emotionally and physically. The whole experience had been such a fast and furious journey that I had probably been running on adrenalin. It kept me going for 2 days but day 3 was really tough. I just gave in to it and slept most of the day — after all I had been working really hard so it was justified. Keep an eye on the @smexaminer website when there will be a page devoted to the SMMW20 volunteering nearer the time of the conference. Send in your application and they will be in touch. You will probably be asked to make a short video but that is really it. If you don’t want customers to complain, build up relationships with them first. I show you how to do that in this blog. Maggie is an absolute daarling, don’t you think? She sure knows how to knock up a training video under pressure! What Is Influencer Marketing & How Can It Help My Brand (especially if I don’t have a budget)? In this article, I try to de-bunk the myths that surround Influencer Marketing. I aim to show you that Influencers aren’t all bad (really! ), and that Influencer Marketing may be a great tool to implement into your Social Media strategy. Going to a conference can (and should) be a big deal. As well as the learning, there are the connections you will make. Follow these 9 tips to create profile photos which will make you stand out from the crowd. There was so much learning from so many amazing speakers that I felt compelled to share my learning with you all. There are some real gems here so take a look. Do you waste time trawling through other feeds on Instagram looking for an image you’ve previously liked, or have problems remembering someone’s handle and can’t find them? Using Instagram collections as a filing system will save you tons of time – read on and find out how you can use them. How to properly engage with other people on Social Media. Don’t just talk talk talk, you need to listen too.